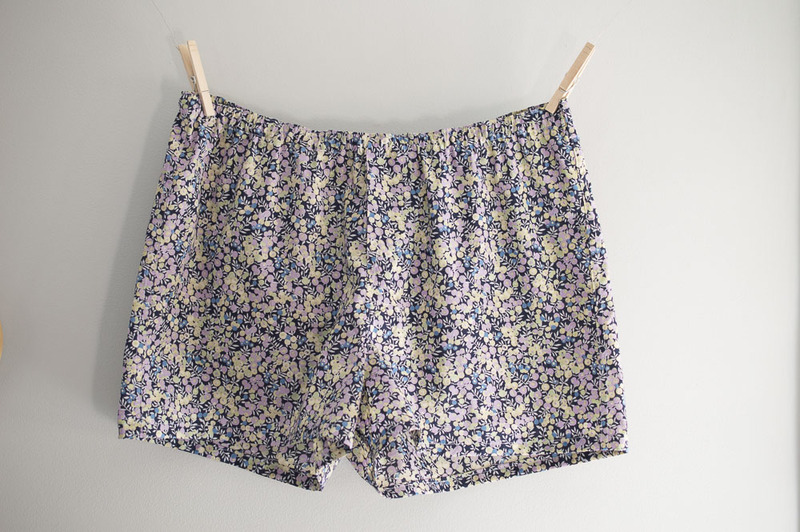 Quick note: I created a simple pattern for these based off my husband’s current store-bought boxers, which are a size medium. As a result, my pattern probably approximates a guy’s medium. 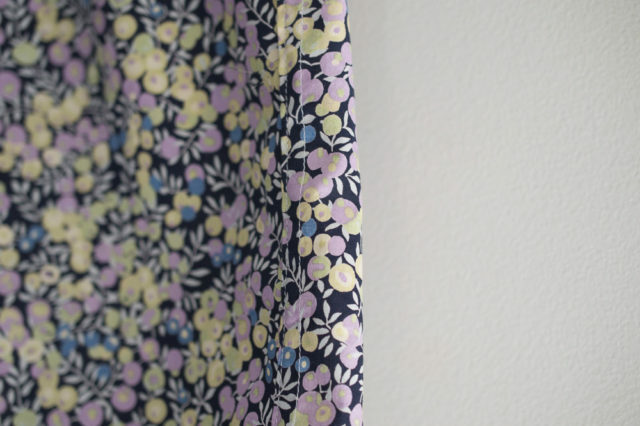 You can always make the waist a bit smaller or looser by varying the elastic length to fit a variety of bodies. 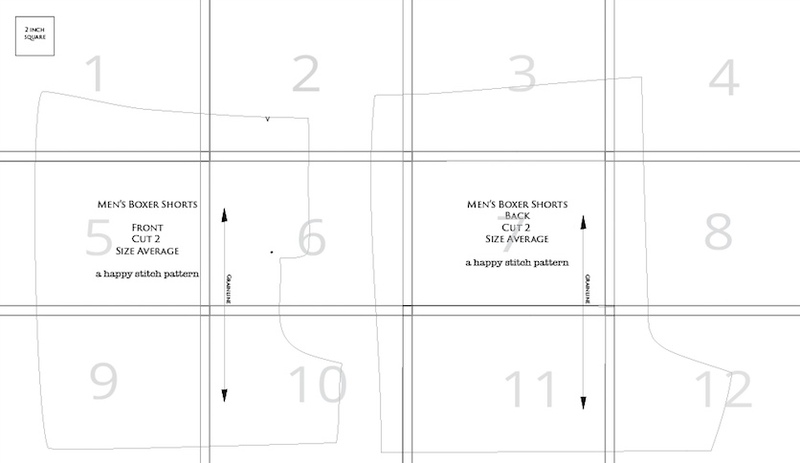 I’m sure there are plenty of clever sewers out there able to pattern hack this pattern to work for other sizes and I always love pattern hacking! + Free Pattern, available here. Print out the free pattern, available here. Be sure to print it sized 100% and not to scale. If you aren’t sure if it printed correctly, measure the 2” box on page 1. 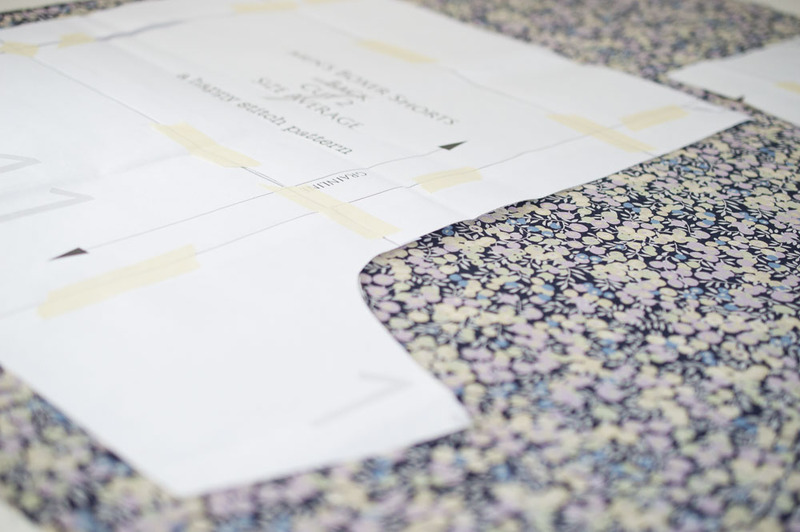 Tape together the pattern as shown below and cut out the two patterns piece, one front and one back. True up the fabric and place each pattern piece on your fabric and cut out 2 front pieces and 2 back pieces. Be sure to draw the indicated markings. Hint: If you fold your fabric so that the right sides face each other you will better prepare yourself to start sewing. Begin by placing the two front pieces rights sides together. Draw, with a marking tool, a line from the top notch to the dot marked at the bottom of the faux fly. Stitch the crotch seam by sewing along the line you drew with a basting stitch and at the dot mark switch to a standard stitch length and sew the rest of the curve with a 4/8” seam allowance. 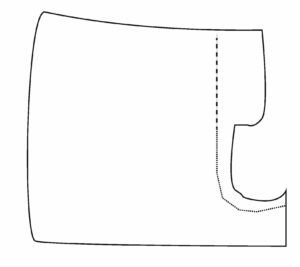 Clip along the curve of the seam allowance and then iron the seam allowance toward the wearer’s left side. Beginning at the dot marking, sew along the curve of the crotch 1/4” to the side of the seam allowance to secure it in place. 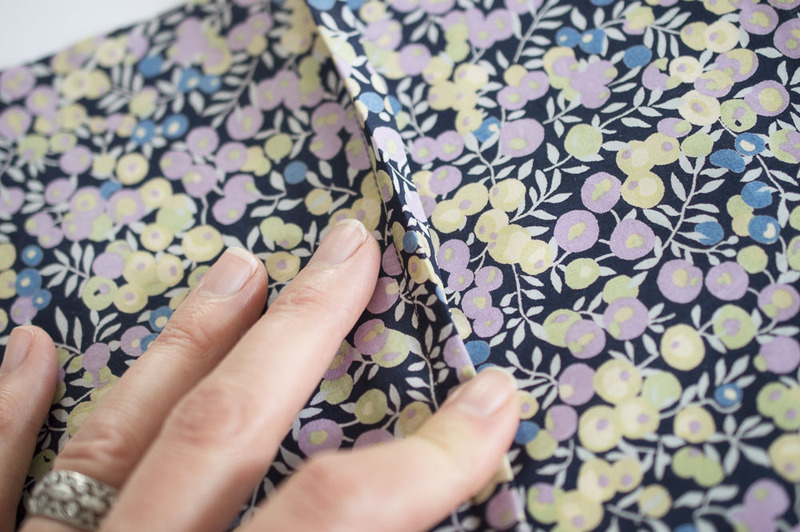 You will be sewing through the seam allowance fabric and and the boxer short fabric. This is a visible stitch. 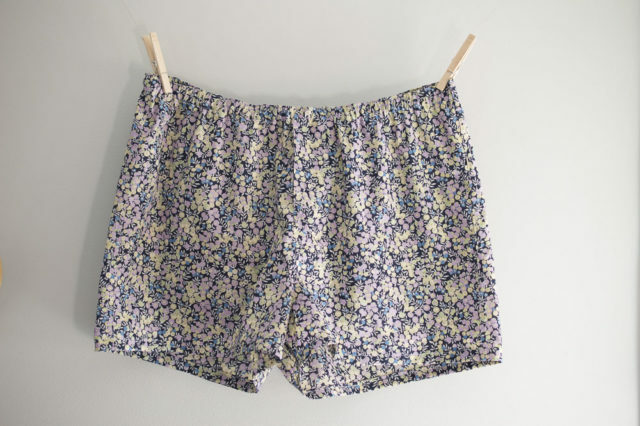 While facing the right side of the front of the boxer shorts, sew a stitch 4/8” in from the edge of the faux fly. Mirror that stitch with another one 3/8” to the left. If you want to, you can sew a strong zigzag at about 1/2” before and up to the seam. This will hold the faux fly in place and create a classic boxers look. For the side seams and inseam, we will be sewing a flat-felled seam. You are going to love this technique. 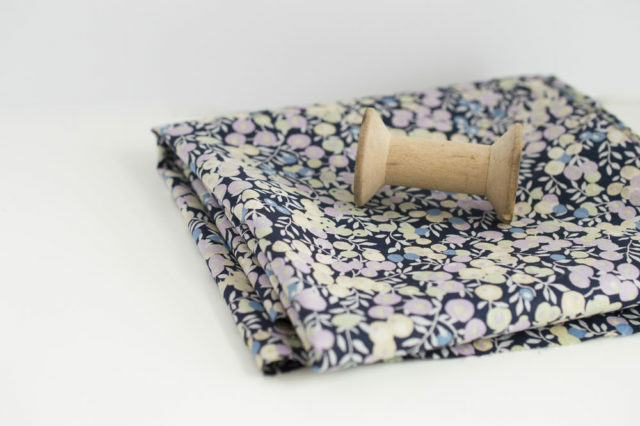 It not only hides all raw edges of fabric but it keeps the fabric laying flat reducing bulk and it’s a super durable stitch. Plus, it’s a very professional seam so you will feel like a champ. 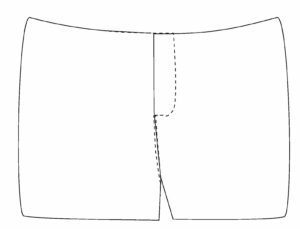 As an aside: I looked at a lot of my husband’s boxers and they all had flat-felled seams, it’s interesting that such a basic (and cheap) garment has such quality construction. Who knew? 1. 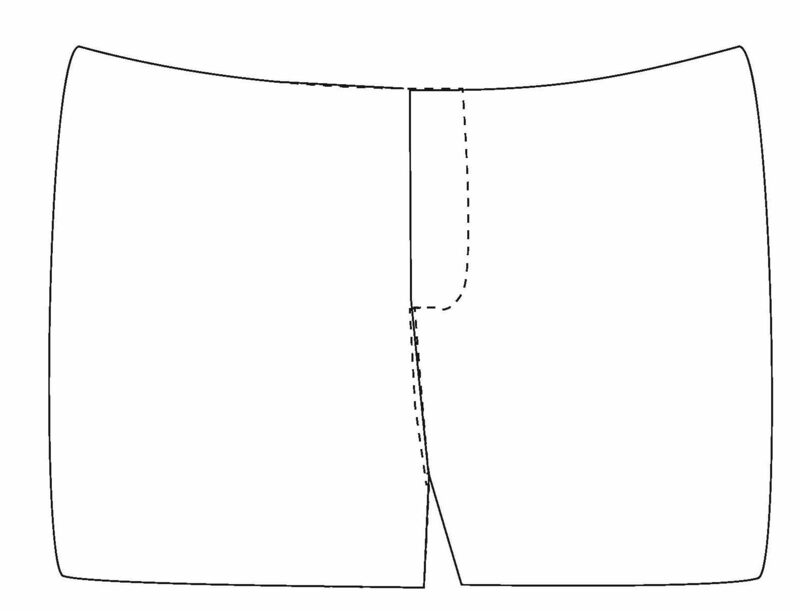 Begin by stitching the front and back side seam of the boxer’s WRONG sides together with a 5/8″ seam allowance. 2. 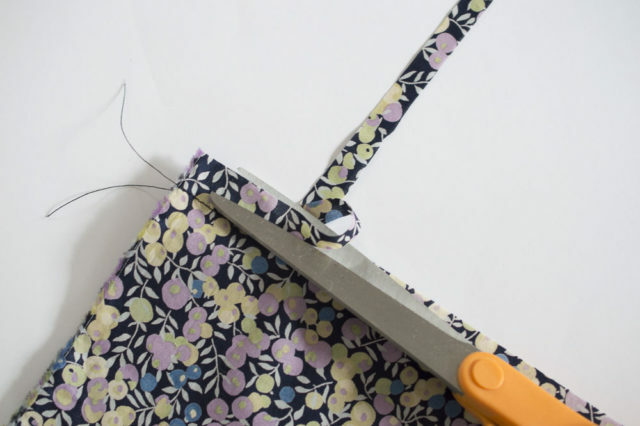 Cut ONLY ONE of the seam allowances down to half the size of the other. 3. 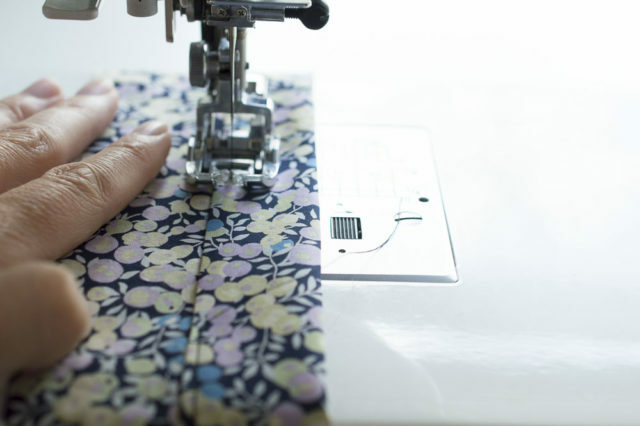 Press the seam allowances with an iron such that the full-size seam allowance covers the half-sized seam allowance. 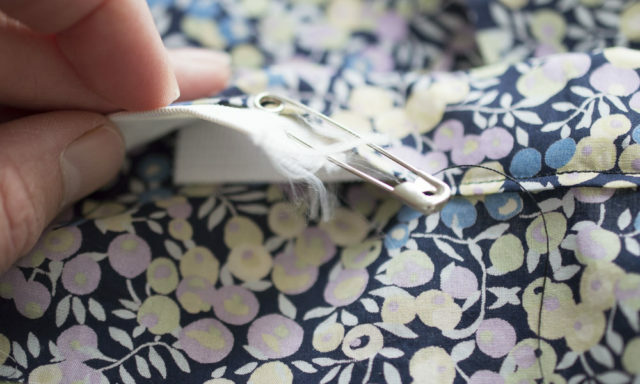 Fold the full-size seam allowance in half over the half-sized one to meet the original stitching line and press it flat against the fabric. 4. Stitch along the edge of the fold. 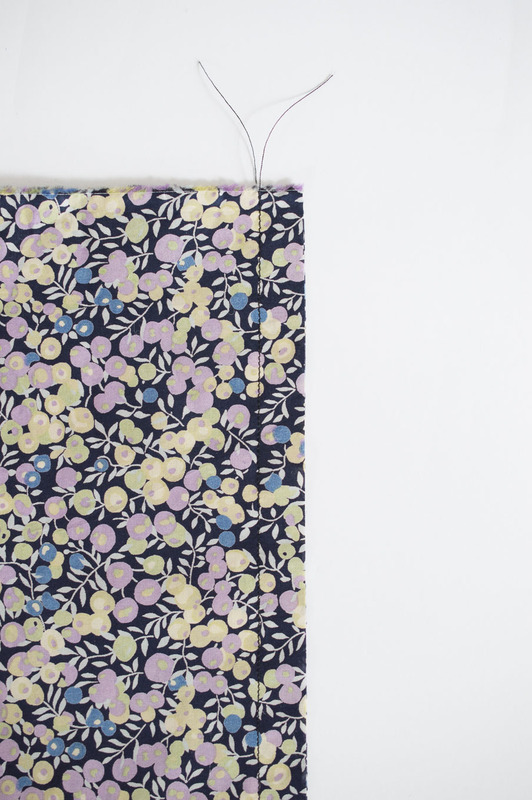 Admire your beautiful flat-felled stitch! You are such a pro! 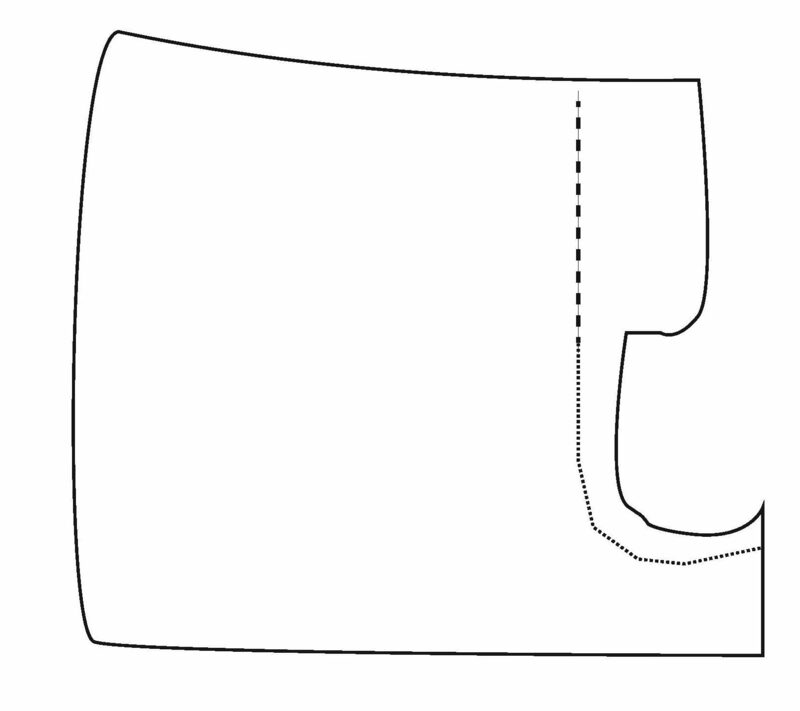 + Complete the inseam at the bottom that connects the crotch to each leg, also with a flat-felled seam. + To make the elastic waistband you will first need to measure your wearer’s waist and cut the correct length of elastic. Be sure to measure at the point on their waist that they are most comfortable having the waistband sit on their body. Subtract 6” from this measurement and that is how long you cut the elastic. If you don’t have your wearer nearby, you can wing it and cut about 32” of elastic. Set the elastic aside. Note: Most 3/4″ elastic has a good deal of stretch but if yours doesn’t, for some reason, you might not want to reduce the length by 6″ or it will be too tight. Be sure to stretch out the elastic to get a feel for this. 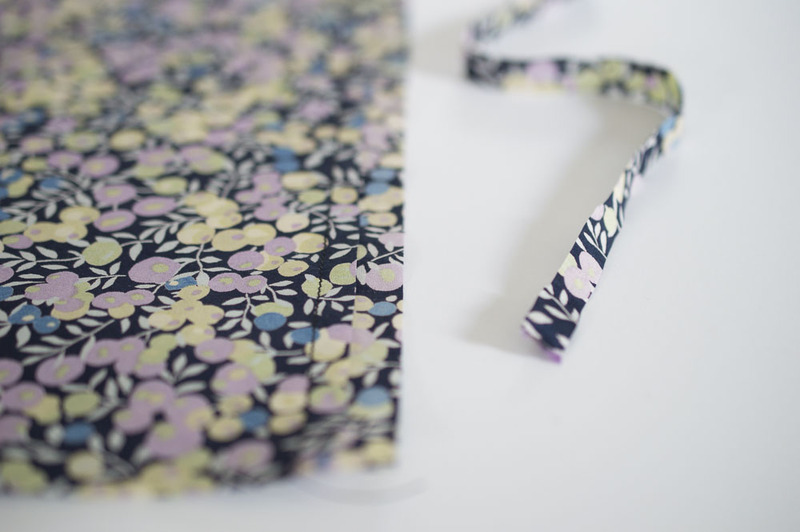 + Make a casing for the elastic: Fold down and press the whole waistband by 1” and then repeat another 1”. Stitch along the bottom fold, leaving a 5-6” opening at the back. 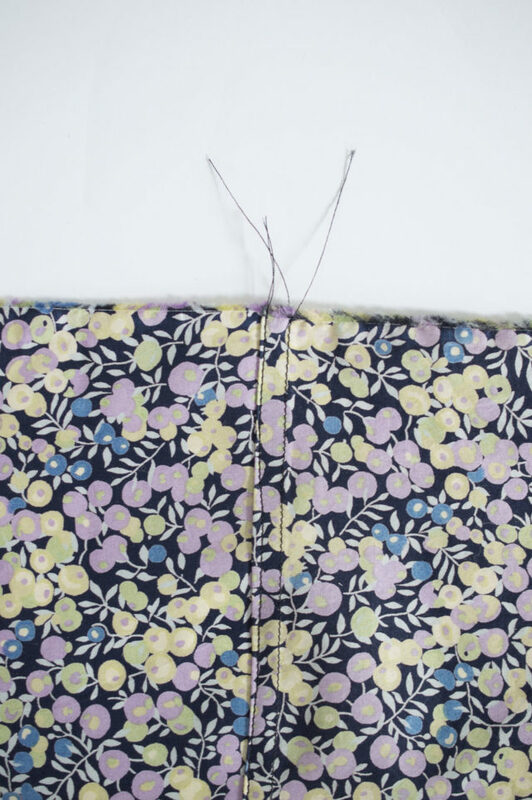 Attach a safety pin to one end of the elastic and use it to wind through the casing making sure it doesn’t twist. 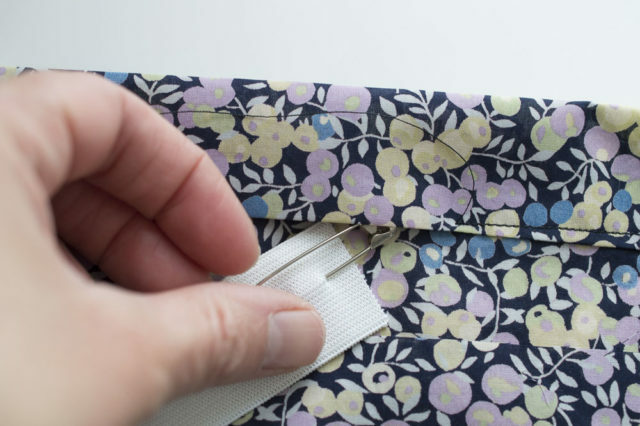 Overlap both ends of the elastic by 1” and stitch a small box with a diagonal line to secure the ends together. 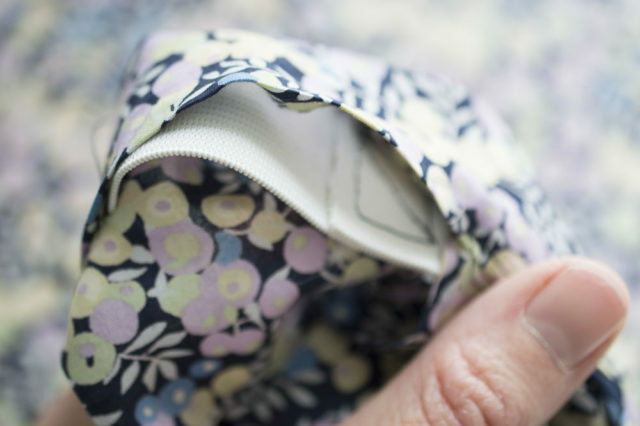 Place closed loop fully inside casing and work with your hands to evenly spread the waistband gathers. Stitch the remaining opening in the casing closed. You may want to, at this point, sew in a tag to help whoever is wearing these identify the back of the boxers from the front. 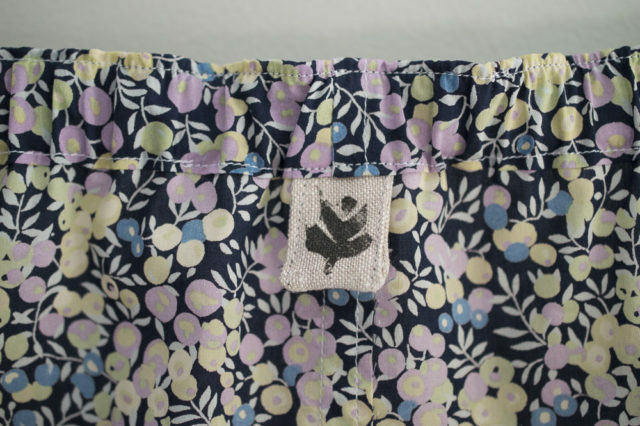 I had a small bit of linen I had hand-printed that I used to create a tag. 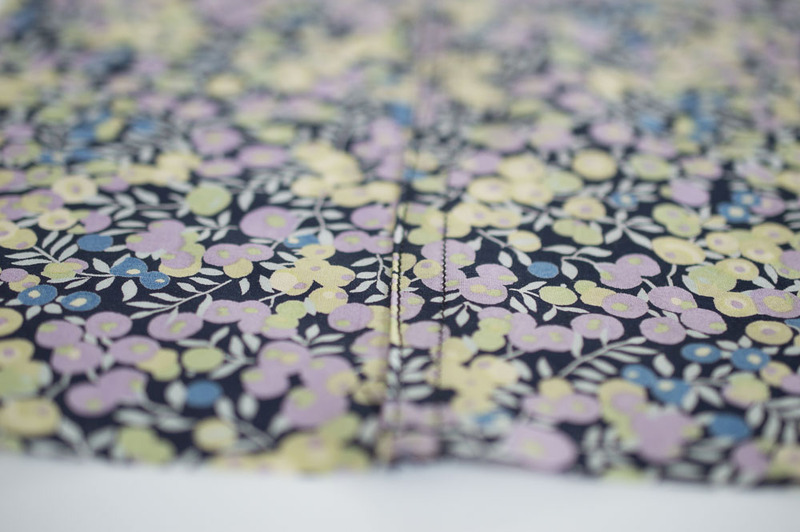 Sew an additional stitch at the top fold of the waistband (seen pictured above). 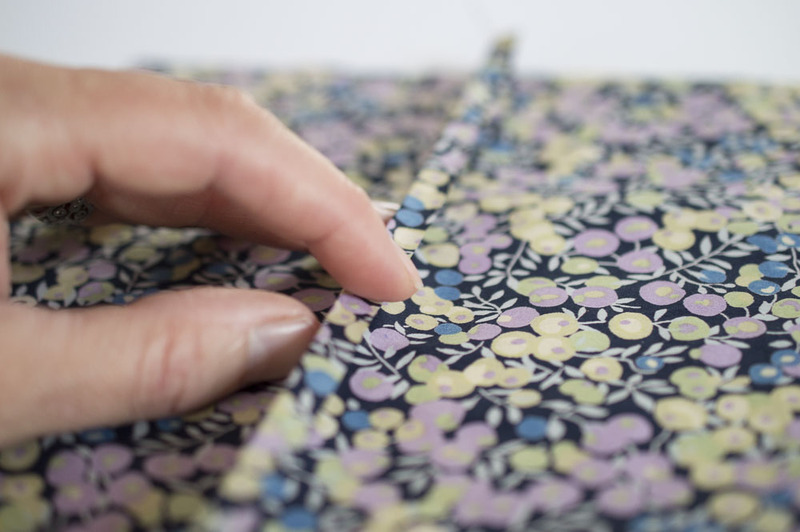 Once you have sewn through the waistband, you can use a seam ripper to unpick the basting stitch of the faux fly. Hem each of the shorts legs by folding 1/2” and then another 1/2” and sew at 3/8” along the fold. Thanks for this! With so many boys in the house, these would be perfect summer jammies (until they get old enough to want to wear boxers 😉 I love the flat felled seams — who knew they could be so simple! I know! Flat-felled seams are so fancy…yet, so simple! Right?! Who doesn’t love a little liberty!? Oh lucky him!! Happy stitching.